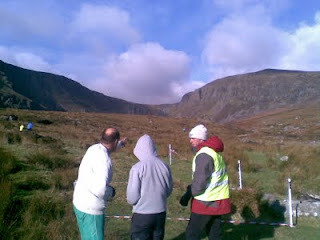 Competitors at the Munster League event held at Davmore/Mahon Falls in the Comeraghs found the terrain tricky and heavy going. 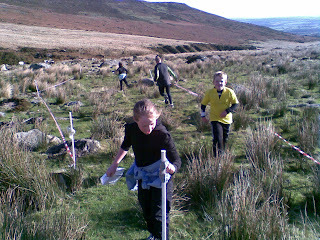 Some tried courses which were too demanding for them and ended up either taking a long time or missing a control. Full results have been posted to the IOA website. 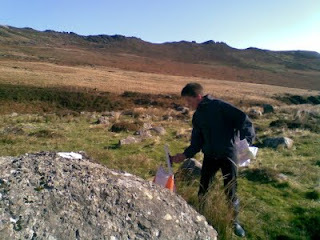 Thank you to Pat O'Connor who planned the courses and tagged the control sites; Andrew Pim and Norman Storey who put out the controls and brought them in plus organised and ran the start; Elizabeth Storey who did registration; and Nigel Pim who did Upload and Download. Thanks to Laura for some of the pictures. As organiser of the event, I appreciate the contribution of all the club members. Thank you.